Chris Eubank Jr. explains the difference he’s noticed since employing a formal trainer. 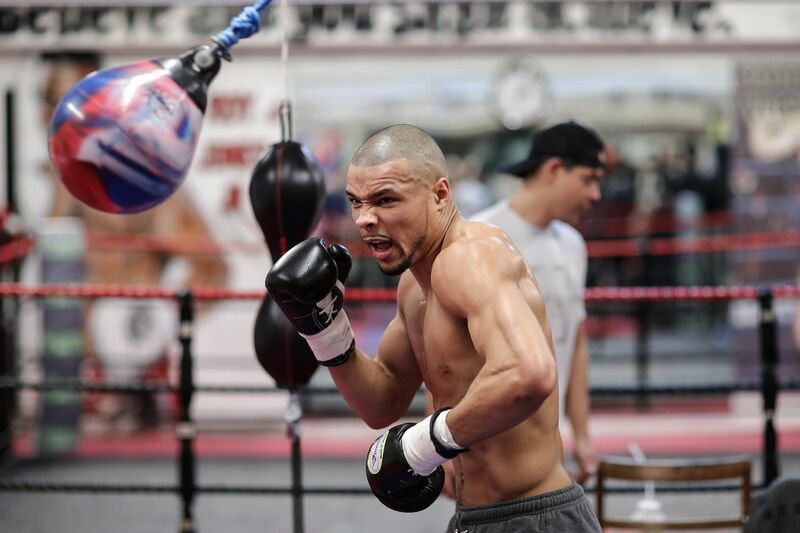 Ahead of his Feb. 23 fight against former world titleholder James DeGale, Chris Eubank Jr. talks about the changes he’s made to his training camp — most notably by finally employing a full time trainer. I mean, just imagine being 30 fights into your professional career, with world title aspirations, before realizing the importance of having a trainer in your corner. “I see a lot of improvement in my mentality, in my boxing brain, strategy, game plan — all big improvements. I’m very happy with how the training has gone and I can’t wait to get in there and show you guys what I’ve been working on. “Boxing, nothing is rapid about the sport. Everything takes time, everything takes hours and hours, and days and days, weeks and weeks, and months and months. Years of repetition to master individual little parts, little things that you need to bring into the fight. Nothing’s been fast, nothing’s been rapid. I’ve been working with him since summer, so it’s six months, 8 months. “It’s just subtle differences, it’s not a huge overhaul. I’m not gonna be some completely different fighter on the night. My mind is different. My thought process going into a fight is improved, is more professional I think, as a result of having a focused training camp with a trainer who is tailoring everything to what James DeGale is. I’ve never really had that in my career. I’d just get really fit, train really hard, and fight. That’s what I’ve done for everybody, train the same. Same sparring partners, whoever I could get. “I’ve rattled him on several occasions already, and as the fight gets closer, the fighters get more and more aggy, more and more tense….easier to get under their skin. So I think that fight week is gonna be pretty spicy. I think you’re gonna see some great moments from both of us. I’m always calm, I’m always cool, collected. He definitely isn’t that type of guy. I think you’re gonna see him step out of line once or twice. “I think if you’re the type of guy that can be rattled, that can be affected by words and what someone else is doing then that will probably affect your performance. So [getting under DeGale’s skin], I think it is beneficial to me. But, you know, saying all that, at the end of the day ‘sticks and stones’ — all that matters is what happens when that bell goes.